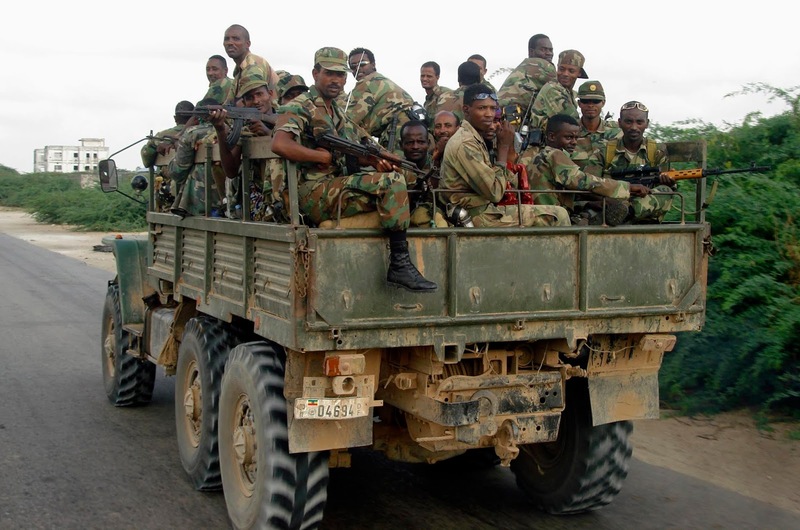 According to security officials an Ethiopian military commander has surrendered to Al Shabab militants in Kansahdhere, Bay Province. The Ethiopian left AMISOM base in Kansahdhere and joined Al Shabaab camp in Ufurow. The armed group Al Shabab have said they welcomed the Ethiopian commander who promised to convert his religion to Islam. Ethiopian troops are part of AMISOM forces in south and central Somalia who support Somalia government. Last week Al Shabab militants overrun AMISOM military base in Lego, 60 Burundian Soldiers were killed during heavy fighting in the area. Al Shabab Fighters vowed to increase attacks against Somalia government and AMISOM troops.